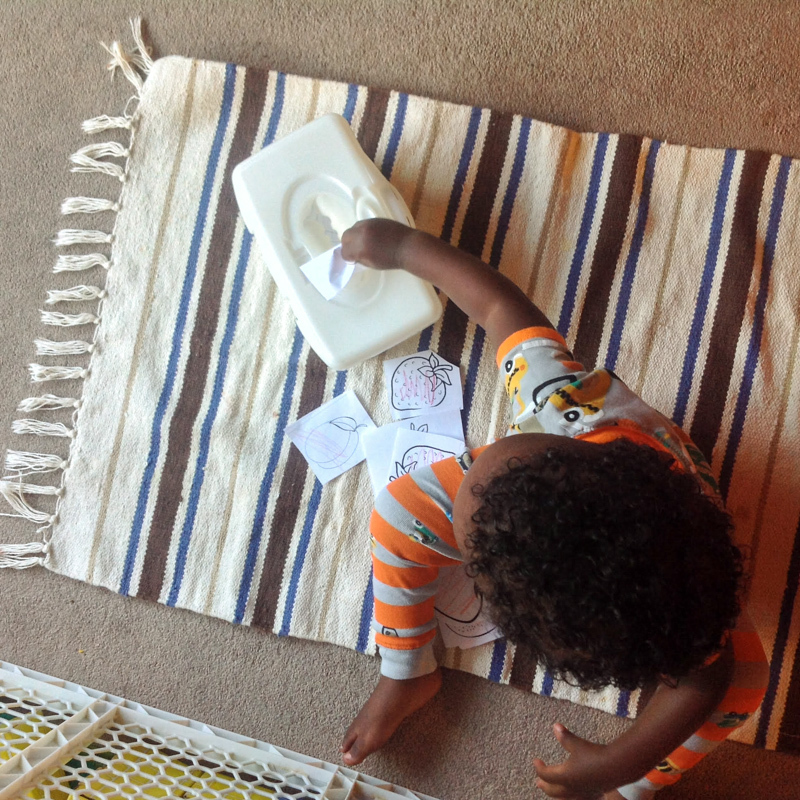 Hello fellow In The Playroom readers :), I am Samira from TheMuslimahGuide. You can find me there sharing mom stuff, kids stuff and other stuff that I discover along the way. I moved from the U.K to US when I got married, so blogging helps me keep connected to the rest of the world. 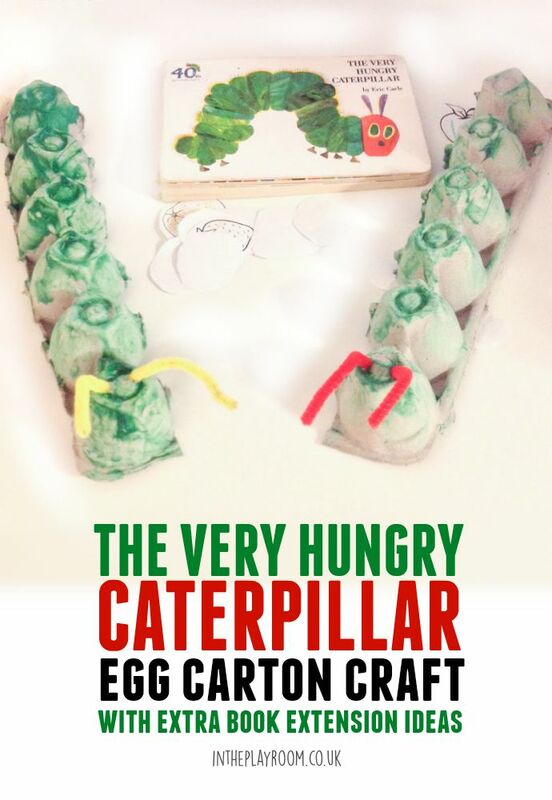 Today I am sharing an easy to set up, cheap and toddler friendly craft inspired by The Very Hungry Caterpillar. My 2 and half year old daughter and her little brother love to read The Very Hungry Caterpillar by Eric Carle. 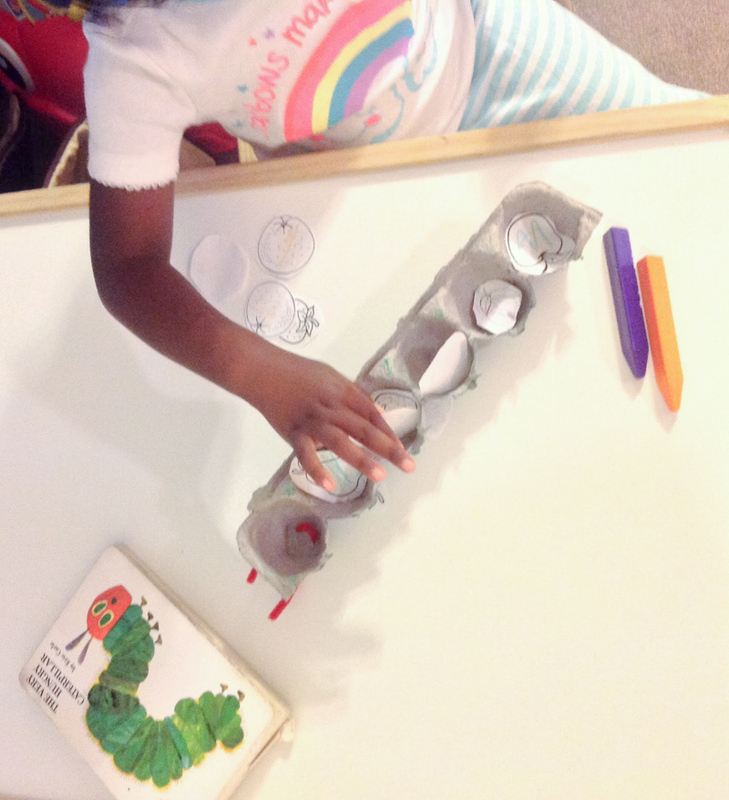 It is slowly becoming one of our favorite books, so I thought this would be the perfect way to combine reading and crafts while promoting and developing motor skills. 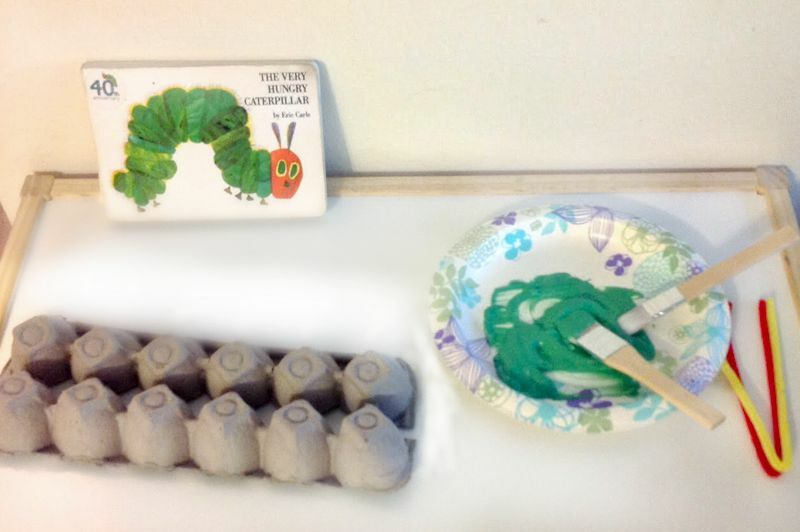 Take the egg cartons and cut them so each child has a section to paint, encourage your child to attach pipe cleaners for antennas and glue eyes on. My 1 and half year old son (Yep! they are a 1 year apart), painted his caterpillar (partially) and ran off to play with a Melissa & Doug Caterpillar Gear Toy that I had taken out for him. 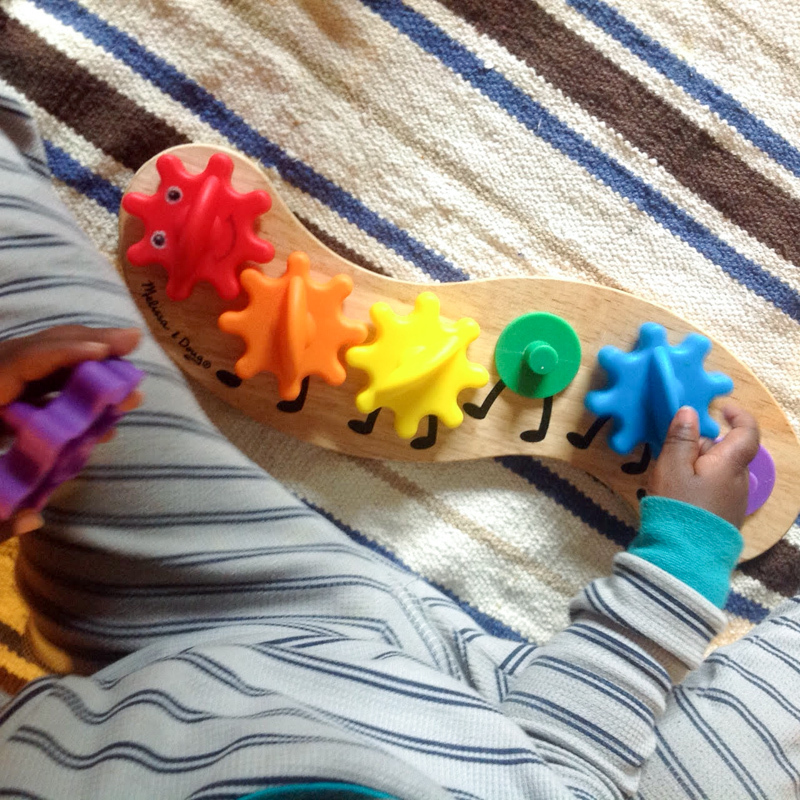 It promotes color recognition, hand/eye coordination and fine motor skills. However for younger children you could create an object permanence game by allowing them to put the printed fruits into an object (I used an empty wipe case). 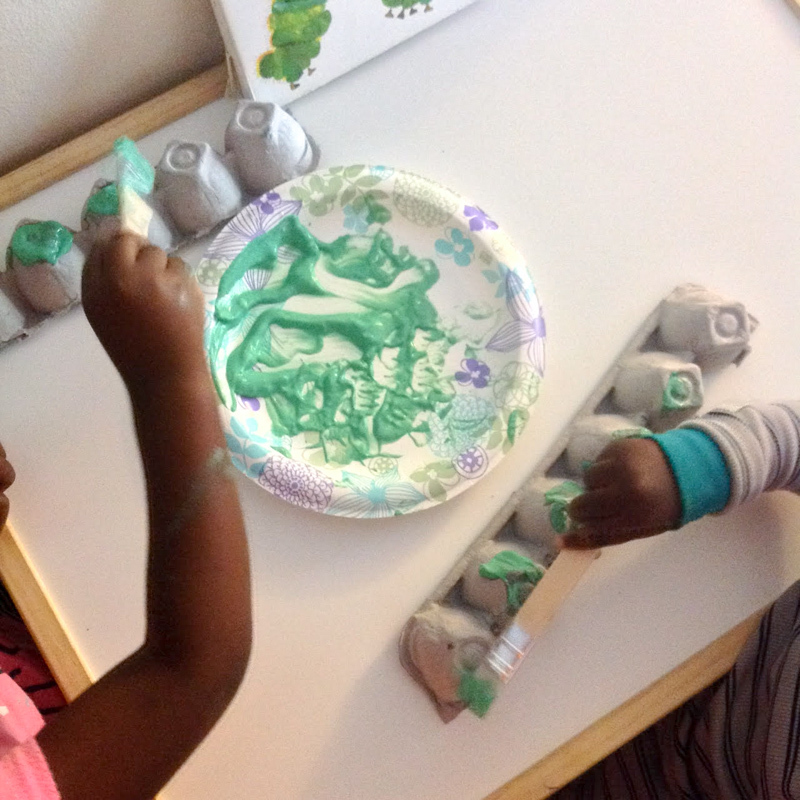 Other fun activities we will be doing that are related to The very hungry caterpillar are lacing the leaf, and making a hand painted butterfly. You can read more from Samira on TheMuslimahGuide or follow her on Pinterest, Facebook, Twitter or Instagram. This is great! I think I’ll have to borrow this idea for my college graded unit actually. It’s so simple yet you can cover so much of the curriculum with the book. Wow! This took me right back! I remember doing this when I was a child and I’m now 45 with children and grandchildren of my own! Thanks for reminding me! Definitely going to do this!